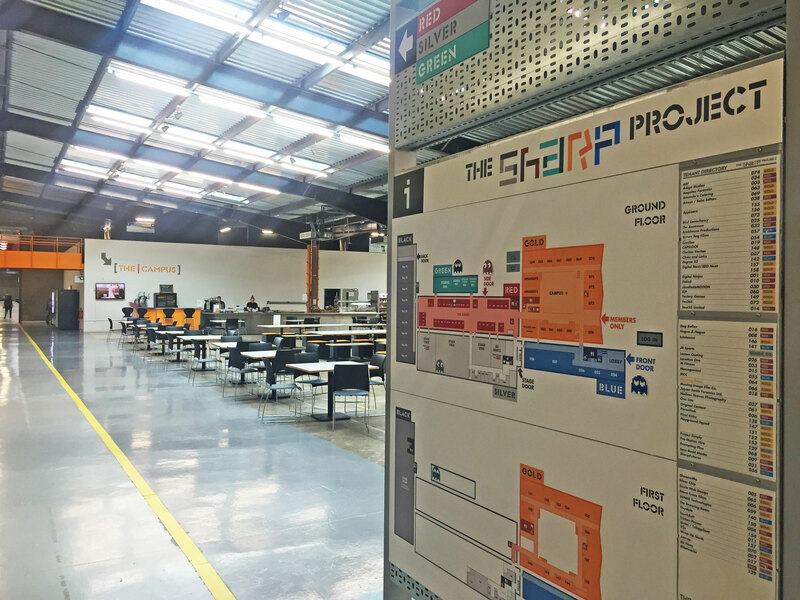 Founded by Keith Jobling, The Sharp Project is Manchester’s home of digital content and a major centre of the city’s vibrant creative industries. The brand identity developed by Malcolm Garrett uses a diagram of the facilities to illustrate its flexibility and diversity, and this is also reflected in the wayfinding developed by Malcolm with Sam Gullam. Malcolm is on the board of SharpFutures, the apprenticeship training company that was established at The Sharp Project.